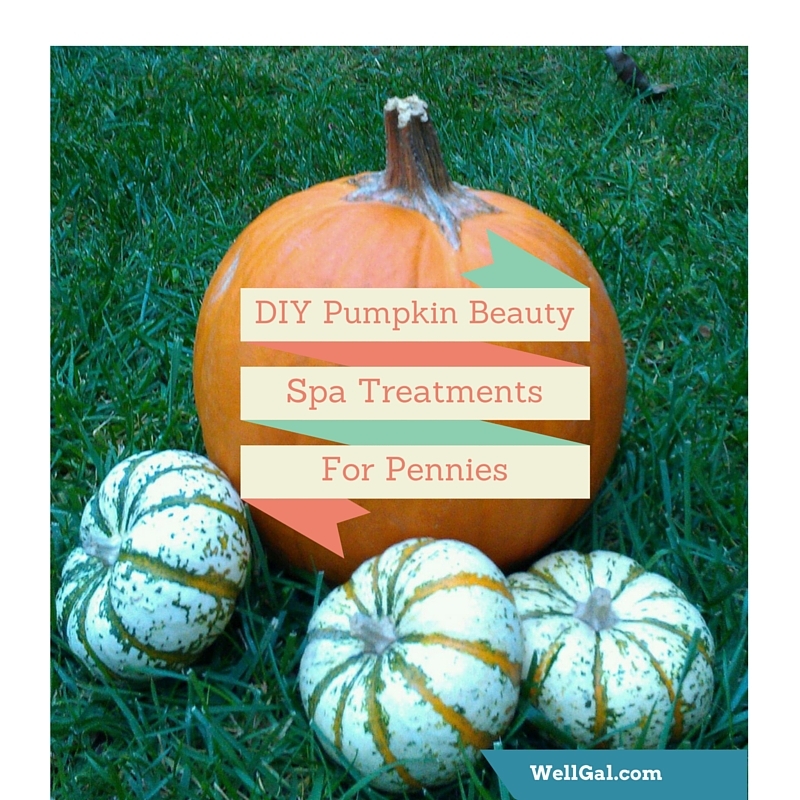 Use fresh or canned pumpkin to make bountiful at-home spa treatments for pennies! Carving a jack-o-lantern? Got some left-over pumpkin purée? Then consider using some pumpkin for seasonal spa treatments that will scare away dry skin and trick you into thinking you’re at least 10 years younger! If this sounds like you can eat it, you’re right! This scrub is all natural and delectable as a pumpkin pie. Great for normal, dry, and oily skin. It naturally sloughs away dead skin cells, leaving you with renewed dewy skin. Check out the recipe. Simply blend together some pumpkin purée (out of the can is fine), plain organic yogurt, and honey to make enough for a nourishing mask (about 1 – 2 tablespoons). Yogurt’s lactic acid content, which is a natural alpha hydroxy, sloughs away dead skin cells and smooths rough skin. It also has probiotic benefits, which helps with skin renewal and health. The honey, which is a natural humectant, draws moisture to the skin and its antimicrobial properties alleviate skin breakouts. Therefore, this mask is great for all skin types. Wash it off after about 15-20 minutes. If you’re skin is as dry as a mummy’s, it’s time for a moisturizing body wrap! This is especially nice to use after exfoliating your skin, so that the nutrients are readily absorbed. To make it, check out my simple recipe using 100% natural, fresh, and organic ingredients — many of which you probably already have in your own pantry at home.